The menu will be sett on your wish or our special traditional creations will be arrange one day before with our kitchen staff. 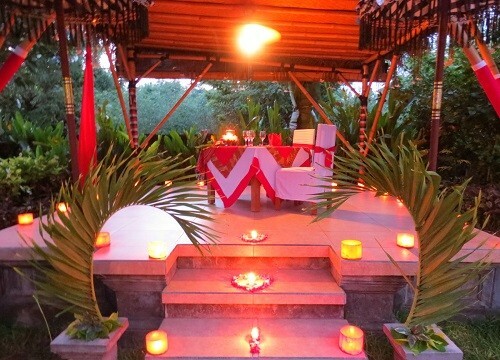 The place will be at our Garden Pavilion with the swimming pool and mountain view in the romantic light colour setup. We will color your night with a world feace and relaxing music sound whispering in the sundowner starter cocktail evening.